Photographic diptych. 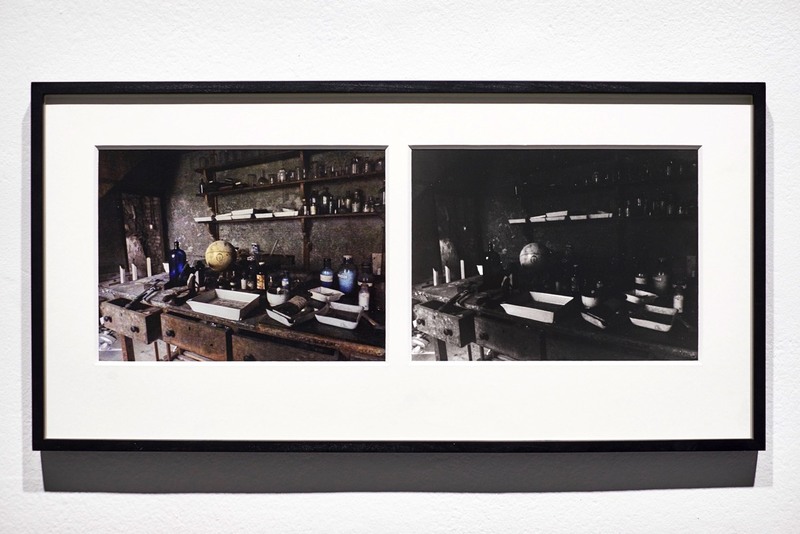 The original photograph taken in Mary Rosse’s authentic darkroom, the oldest remaining darkroom in the world built in the 1850’s, prior to its dismantling and reconstruction in Birr Castle exhibition centre in 2015. This photograph and the development of the subsequent black and white print feature in the filmic installation ‘Darkroom’. 23 x 17 cm each, 58.5 x 29 cm framed.